The severe storm is from the monster X9-class solar flare, the biggest since 2005 and the equal 14th ever recorded which exploded from our Sun on Wednesday causing wonderful auroras over Scandinavia last night. Our Sun blasted yet another monster X1.3 yesterday also from sunspot AR2673 which was responsible for the X9-class on Wednesday and is still firing off large M-class flares today. NOAA is still predicting 50% chance of X-class flares in the coming 24 hours. Spaceweather.com click on the image to enlarge. 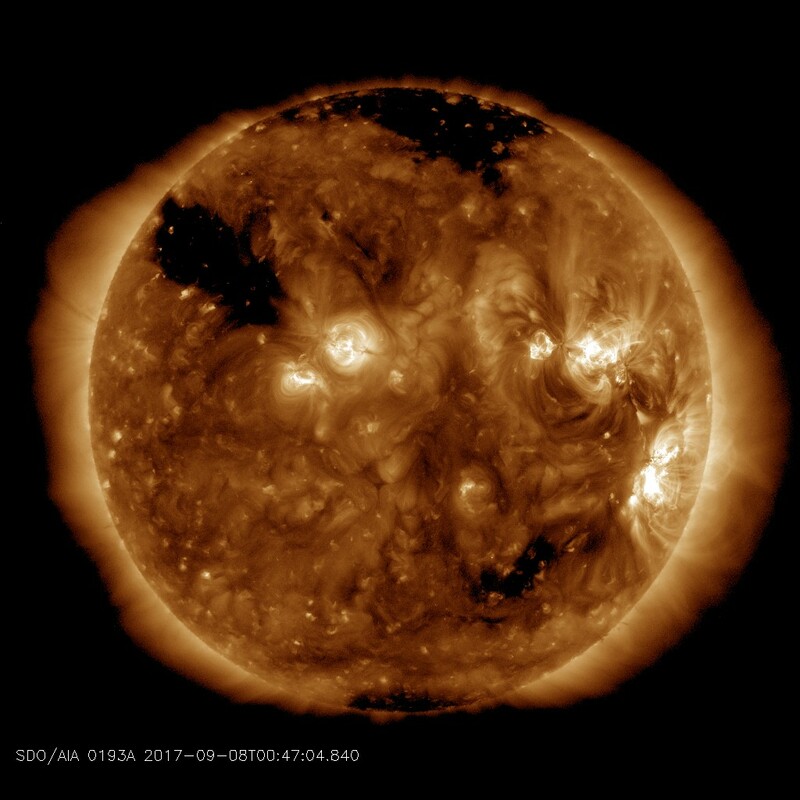 To hot things up a new Coronal Hole is emerging over the sun's northeastern limb which is sure to be releasing more solar storms into next week.